Our K-8 grade structure offers many advantages for students. Students in grades 6, 7, and 8, are not in the middle, but at the top. Simply by virtue of that position, they behave differently. We expect more of our middle schoolers in terms of responsibility and maturity. In turn, they have more privileges. We appreciate the exceptional growth they are experiencing, both physically and intellectually, and develop programs targeted to their needs. 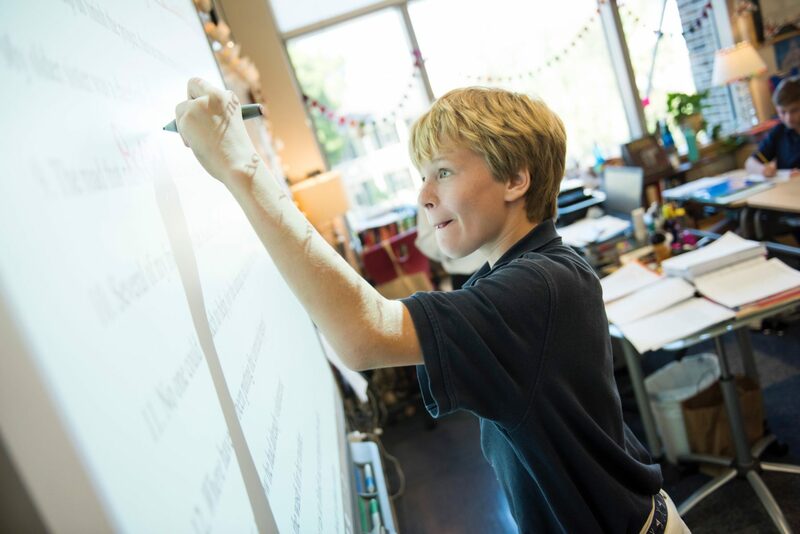 Middle school students select elective classes where they can develop skills beyond the traditional academic curriculum, such as musical theatre, movie making or German. The Middle School Advisory Program provides opportunities for students to meet in small groups with advisors to set goals, problem solve and discuss topics of the day. We partner with doctors at MUSC to provide a Wellness program that focuses on education and prevention. One of the most meaningful aspects of the program is a Q and A session with someone who is in recovery from addiction. We use the high school application process as a means to foster personal growth and accountability. Preparing for admission to high school adds a seriousness of intent to classes in 7th and 8th grade, not experienced in a K-12 setting. They know their performance matters. Our teachers work individually with each family on the application process, beginning with a meeting over the summer. Students are guided through the steps of identifying what they want for the next phase of their education. They formulate an essay to present who they are and prepare for the interview — all valuable experiences. Learn more about High School Counseling. The Class of 2017 attended 11 different schools. 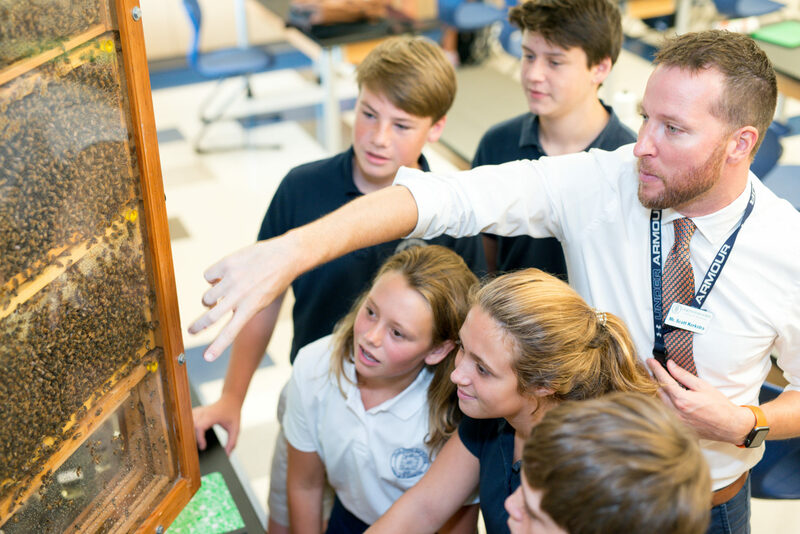 Locally, the acceptance rate is remarkable at Ashley Hall, Academic Magnet, Porter-Gaud and other area schools. 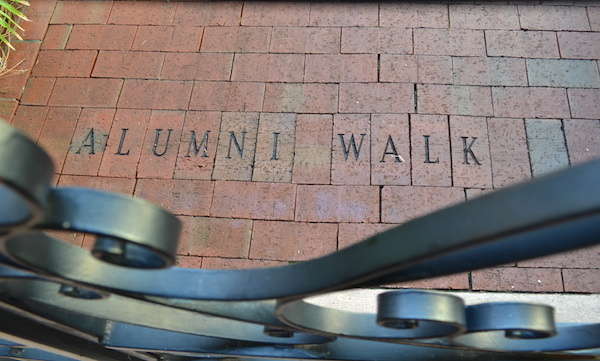 Charleston Day students excel at many of the finest boarding schools in the country. Learn more about Life After CDS. Best of all, the reports we receive on the preparation of our students are all excellent. Our students feel competent, and the schools recognize the depth and breadth of their educational foundation. Character Education shares equal billing with academic development. The entire student body gathers every Monday morning for assembly.